1. A message will appear at the top of your registry when your completion discount is available, 30 days prior to the Baby Arrival Date you entered in your Baby Registry. Click on the message to view your Completion Discount View, which will display eligible items. 2. 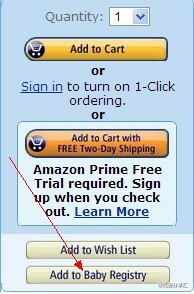 Add eligible items to your shopping cart from the Completion Discount View. 3. The Completion Discount will be applied at checkout to all eligible items.